Illinois law requires property owners to take steps to ensure that their guests are safe. These rules are especially applicable to commercial property owners. In some cases, the negligence per se shortcut may be available to help Rockford personal injury lawyers establish liability for damages. This doctrine often applies in swimming pool drownings, dog bites, and some other areas in which a statute establishes the standard of care. Typically, however, premises liability claims involve negligence. As outlined below, this common theory works a little differently in premises liability cases that it does in car crash cases. 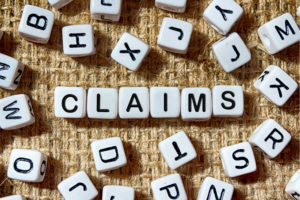 In both negligence and negligence per se claims, damages usually include compensation for economic losses, such as medical bills, and noneconomic losses, such as pain and suffering. Additional punitive damages may be available as well, in some cases. Damages vary according to the legal responsibility that the owner has toward a particular victim. To determine duty, many jurisdictions use a common-law classification system that has been around for centuries. This system has a number of advantages, and also a number of disadvantages. Since it’s been around so long, this system uses terms like “licensees” and “invitees” that are difficult for Winnebago County jurors to understand. Invited Guests: The duty of reasonable care applies to invited guests. The invitation can be express (“come over for dinner next Friday”) or implied (an “Open for Business” sign). The victim’s activities on the property do not matter; the only thing that matters is the invitation. Uninvited Guests: The common law classification system affixes the “trespasser” label to these individuals. Generally, owners owe no duty to uninvited guests. The stories about injured burglars who sue homeowners are basically urban legends. The uninvited guests rule has a couple of exceptions, most notably the attractive nuisance rule. This doctrine protects children who wander into dangerous areas, like backyard swimming pools, and are injured. In Illinois, negligence victim/plaintiffs need only establish liability by a preponderance of the evidence (more likely than not). So, the victim’s own testimony is often sufficient. But this testimony is not always available or compelling. Many times fall victims lose consciousness and don’t remember some of the details. Additionally, most falls occur in the dark. If direct evidence is unavailable, victim/plaintiffs may use circumstantial evidence to establish cause. Illinois courts recently broadened the state’s res ipsa loquitur rule (“the thing speaks for itself”). If a subsequent investigation reveals a property defect, like a loose stair rail, and negligence probably triggered the fall, the res ipsa loquitur doctrine establishes cause as a matter of law, in most cases. Finally, owners must know about the wet spot on the floor, the inadequate security, or the other issue which caused the victim’s damages. Once again, both direct and circumstantial evidence is available. Direct evidence of knowledge includes “smoking guns” like restroom cleaning reports, security camera footage, repair estimates, and “cleanup on aisle four” pronouncements. Typically, attorneys find smoking guns during the discovery process. Landowners understandably conceal this evidence as long as possible. If there is no direct evidence, victims may use the time/notice rule to establish constructive knowledge (should have known). The longer the hazard existed, the more likely constructive knowledge becomes. For example, several other people may have almost slipped on the same wet spot before the victim finally slipped and fell. Premises liability negligence cases have three basic elements. For a free consultation with an experienced personal injury lawyer in Rockford, contact Fisk & Monteleone, Ltd. Attorneys can connect victims with doctors, even if they have no money or insurance.